When you think of the stereotypical Wild West individual, what comes to mind? Does your mind conjure images of dirty, gruff men as mean as rabid coyotes, spitting large chunks of tobacco into metal spittoons? The type of men who would shoot you over a card game and spend their days riding through the vast Western frontier with a gun firmly attached to their hip? Well, those men certainly did exist, but not many people remember how many tough women and Wild West heroines made their marks upon history. Women in the Wild West, of course, were limited by their lack of rights, but that didn't stop a lot of them from rising up and making a name for themselves. A lot of the women on this list saw their destinies laid out before them and proudly pursued them no matter what. Women and westward expansion don't generally get discussed in the same conversations, but there were plenty of women who deserve praise and recognition for their actions. Given that they had to live in an extremely male-dominated world, a lot of these women's actions are even more admirable. Check out the list below to learn about some cool women from the Wild West who are remembered as some of the biggest badasses in the history of the US. To fully understand how much of a badass "Stagecoach" Mary Fields (1832-1914) was, you only have to tell one story. Up until her death at the age of 82, Fields had a standing bet at her local saloon. She said for five bucks and a glass of whiskey, she could knock out any cowboy in Cascade, MT with a single punch. After more than a couple of people tried it, only to fail miserably, nobody had the courage to challenge her again. Fields spent her early life as a slave, but after the 13th Amendment was passed, she worked as a mail carrier (the first black female postal worker in history) as well as a laborer for a church in Cascade, where she did tough physical work and made 120-mile supply runs to Helena, MT. It was during one of these supply runs that Fields faced her toughest obstacle yet: ravenous wolves. While out on the trail, the wolves came and attacked her horses, causing some to run off and flipping her cart over. All through the night, using only a small lamp for light, she fought off the wolves with her shotgun and her revolver. When morning came, she was able to flip the cart over, find some of her missing horses, and then continue on with her trip. That's right: a six-foot-tall, 200-pound black woman was one of the most badass frontierswomen ever. Cathay Williams refused to let her gender or her race stop her from serving her country. During the Civil War, Williams wanted to fight on the front lines, but at the time women weren't allowed anywhere near the battlefield as anything more than a cook, laundress, or nurse. Wanting to actually fight, she disguised herself as a man, calling herself William Cathay, and was soon deemed fit for duty. By doing so, she became the very first African-American woman to enlist in the army. She was hospitalized five times, but no one ever discovered her secret. "That a woman should choose the vocation of professional thief taker in the most civilized portion of the land would be strange enough. It is infinitely more so when she chooses field duty on the worst territory in the Union. Criminals in Oklahoma and in Indian Territory, the district where these two girls - for they are maidens - must operate, are of the most desperate and dangerous class. More lives are lost among Federal officers in a year than in all the rest of the nation together. So it would seem that these girls possess metal of exceptional kind to willingly undertake such duties." 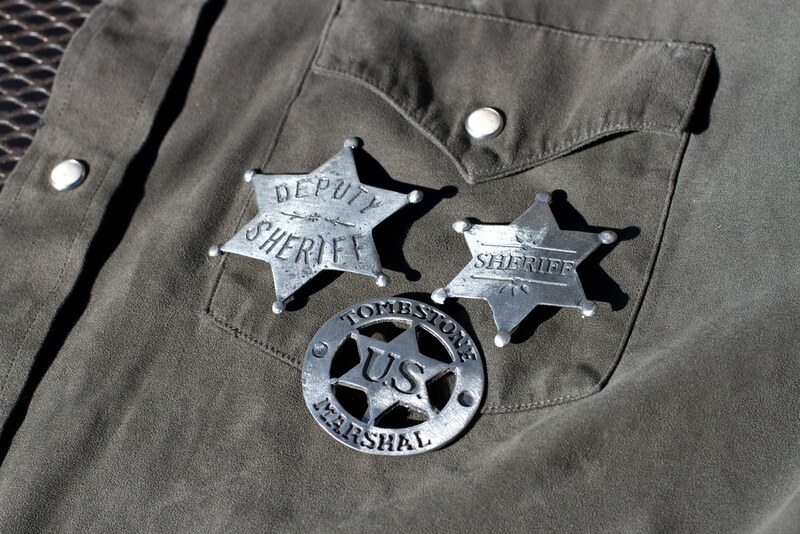 Would you want to be a US Marshal in the Wild West? Probably not! But these ladies did, because they were BAMFs. Nobody knows where Eleanore Dumont came from exactly. Her unique accent had some guessing France, while others thought she originated from New Orleans. No matter where the mysterious woman hailed from, she turned up in San Francisco in 1849 and found herself working as a card dealer. A few years later, she moved to Nevada City, where she opened up her own elegant gambling parlor, serving champagne instead of whiskey and not letting in dirty, unclean men. She wanted a respectable place with respectable people. Her monstrous success led her to purchase a ranch and start raising cattle. She met a man named Jack McKnight who she thought she could trust and signed over her property to him so he could manage it. Unfortunately, McKnight was a con man who absconded with all her money and left her in serious debt. Not content to sit idly by, Dumont decided to hunt down McKnight. When she caught up with him, she killed him with two blasts from a shotgun. Her life never recovered from McKnight's treachery, but at least she got her revenge.